"The staff were helpful and recommended a very good nearby re..."
Have a question for Hampton Inn Chicago-O'Hare Intl Airport? "The hotel is very near the airport where there is shuttle service provided." "Would definitely recommend this hotel to others." "Front desk staff were excellent." Ideal for fun and relaxation, Hampton Inn Chicago O'Hare is located in the O`Hare International Airport area of Chicago (IL). Only 2. Km away, this 3-star hotel can be easily accessed from the airport. 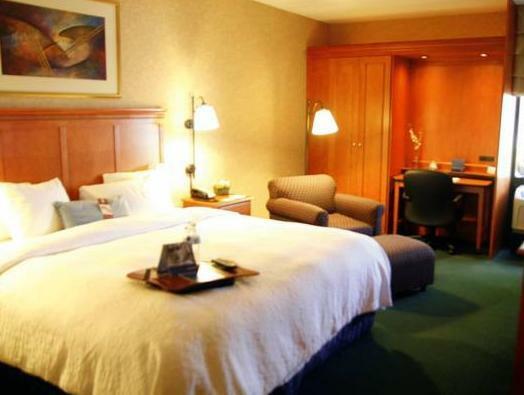 A well-kempt environment and its proximity to Brookstone, NS Macaron, Chicago O'Hare International Airport give to this hotel a special charm. 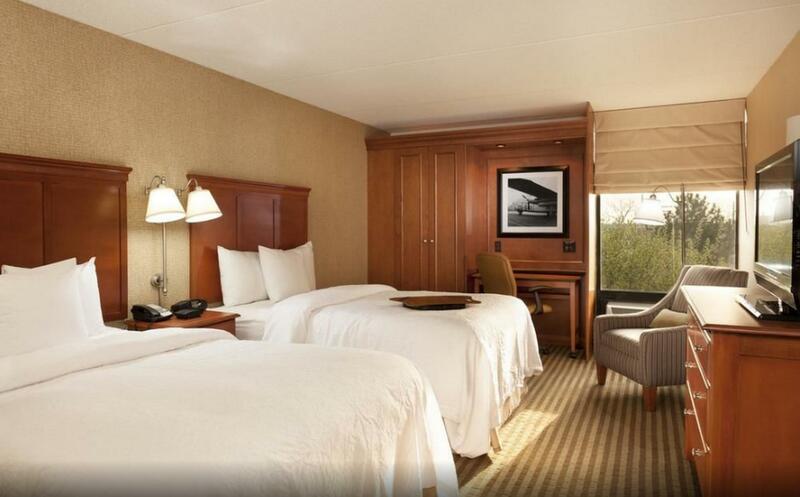 Take advantage of a wealth of unrivaled services and amenities at this Chicago (IL) hotel. A selection of top-class facilities such as free Wi-Fi in all rooms, 24-hour front desk, facilities for disabled guests, Wi-Fi in public areas, car park can be enjoyed at the hotel. 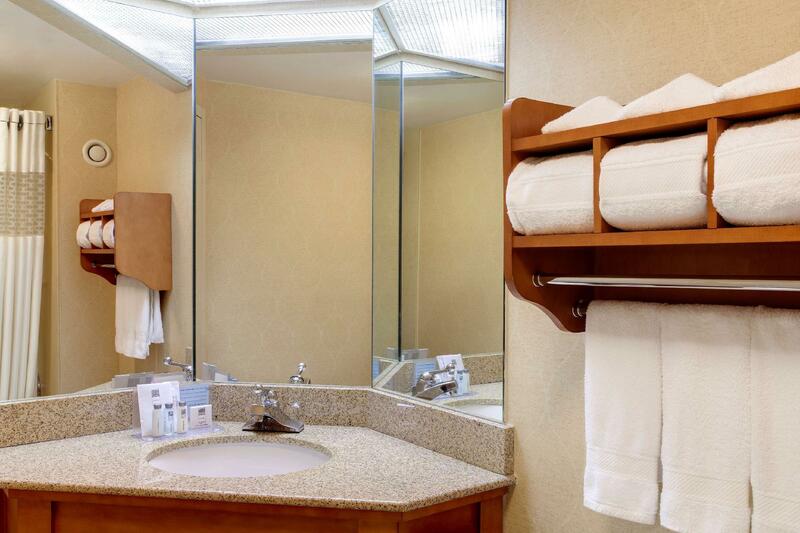 Hampton Inn Chicago O'Hare is home to 148 bedrooms. All are tastefully furnished and many even provide such comforts as television LCD/plasma screen, internet access – wireless, internet access – wireless (complimentary), non smoking rooms, air conditioning. The hotel offers many unique recreational opportunities such as fitness center, outdoor pool. 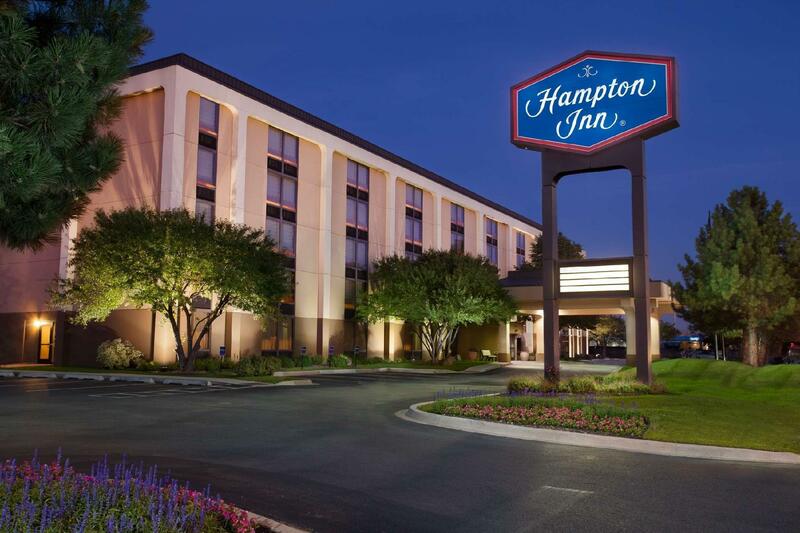 Hampton Inn Chicago O'Hare is your one-stop destination for quality hotel accommodations in Chicago (IL). "Finding airport shuttle was pretty easy." The breakfast is good. They even offer rice, kimchi, etc. Very comfortable bed. The staff were helpful and recommended a very good nearby restaurant. Stayed because of long layover. Finding airport shuttle was pretty easy. Front desk staff were excellent. They helped me figure out transportation to go out shopping and made sure I was taken care of. They went above and beyond. Would definitely recommend this hotel to others. Thank you for staying with us and see you on your next trip back! The hotel is very near the airport where there is shuttle service provided. Breakfast is decent, rooms is big and clean I will definitely come back again. Thank you for staying with us, see you soon. Thank you for staying with us, we look forward to your next visit. We used Hampton Inn for our transit in Chicago on the way to Orlando. We called the hotel as soon as we landed and they gave clear instructions to find the hotel shuttle which was operated by Thrifty rental. The shuttle came with in 10 minutes and we were at the hotel in next 10 minutes. Not much food options around but hotel provides several fast food delivery recommedations that deliver food to your room. We ordered pizza and it came with in 30 minutes. The room was of good size and we had a good night sleep and left for airport next morning. Hampon Inn also provides free breakfast which was reasonably good. We went back to the front office and requested for the shuttle and it came with in 30 minutes. Overall a decent stay and would happily recommend for those looking for a transit stay in Chicago. After traveling for over 24 hours, the room was welcoming and clean. As we didn't have transport and there wasn't a restaurant on site, perhaps a shuttle service to the local restaurant would be of benefit to the restaurant and the travel weary customer. Good, fine, exceptionally average, would do it again! Average stay in airport hotel. Was not a quite nights sleep. Note enough parking spaces! Would not recommend this location. Middle class hotel with OK rooms. i wouldn't recommend this hotel if it wasn't close to the airport. it was clean and the TV-room, close to the reception, was nice. we got to order food from a restaurant that came by with the food cause the hotel had no food to sell. I had a very pleasant stay - internet was working fine, breakfast was good, the room was clean, and staff was friendly. 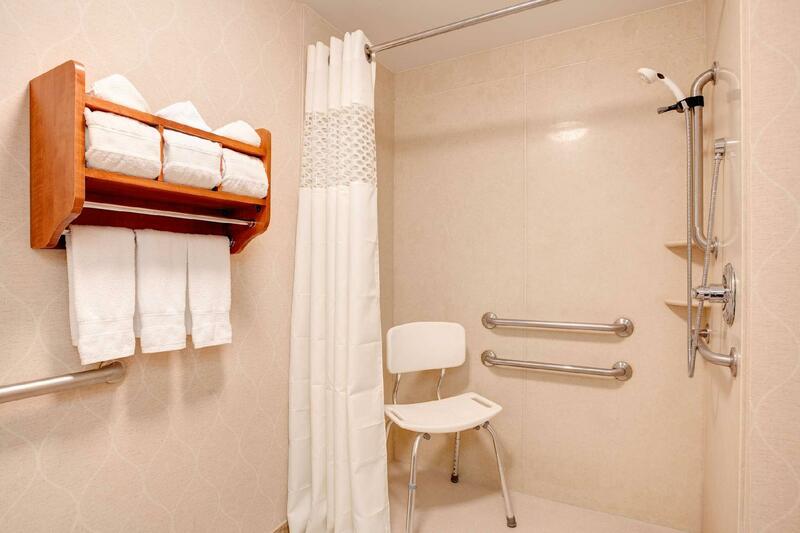 comfortable, friendly and easy access to airport. honest staff to return items which I left behind. quick service when checking in and out. around the clock shuttle service to the airport. friendly and helpful staffs. easy access to the airport. no food service at the restaurant for various menus items. price is reasonable. Quiet room, convenient airport shuttle bus and reasonable breakfast.